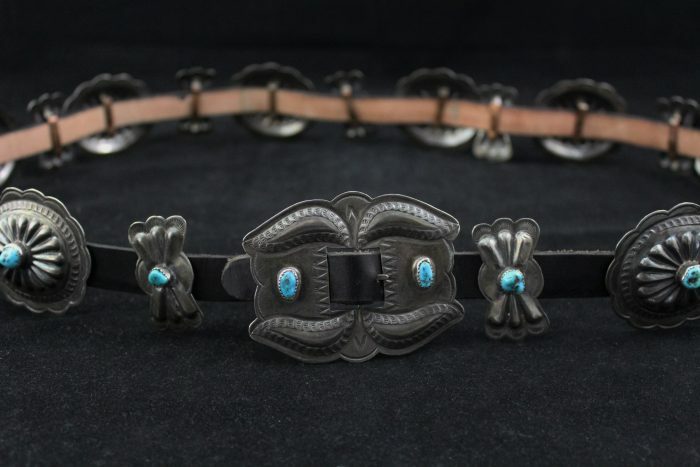 As a unique addition to your collection, we have this vintage 1970’s Navajo concho belt! It starts with a new leather belt that has never been worn with a sleek dark brown color to it. 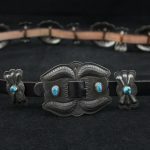 It then features 17 total concho pieces that alternate between conchos and butterflies, each with a medium turquoise cabochon in the center. This belt is in great condition with new leather and the sterling pieces have an even patina on them.